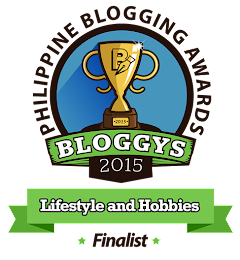 We all admire Jose Rizal for the sacrifices he suffered for our country. 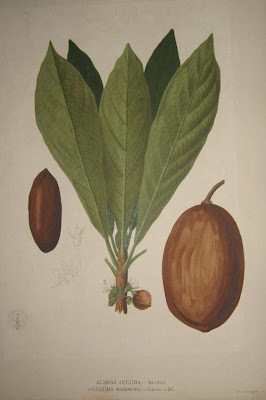 Contrary to most belief Rizal is a reformist and not a revolutionist. 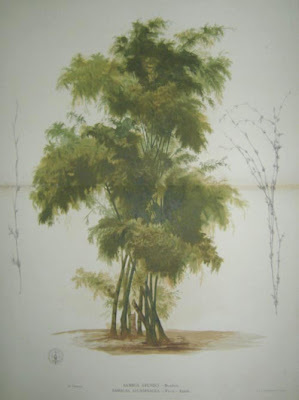 Rizal fought peacefully by pen and ideals rather than using arms. Probably this is the main reason why the Americans chose him to be our National Hero. Our American colonizers did not want us to follow the footsteps of Andres Boniacio and other Filipino revolutionists. 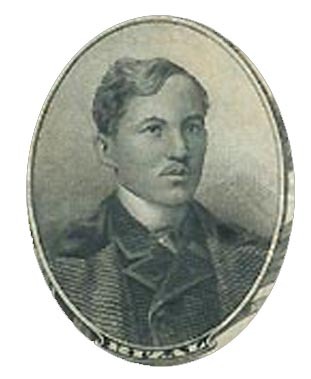 Jose Rizal first appeared in our banknote in 1903. 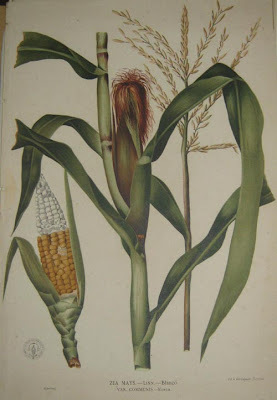 Portraits of famous American like Pres. 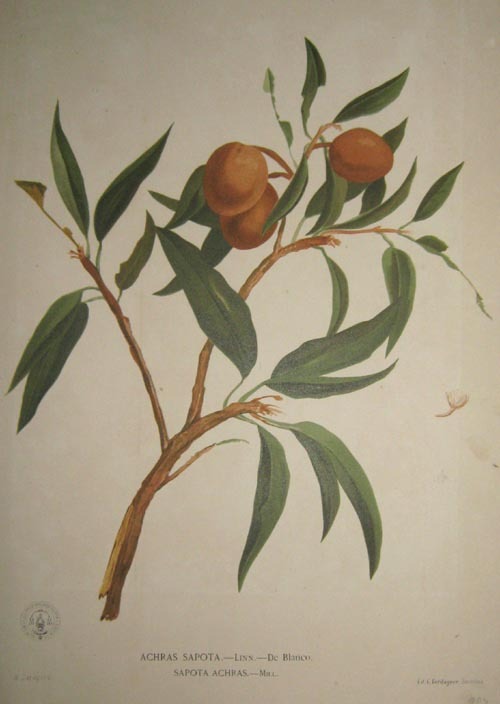 George Washington, Pres. 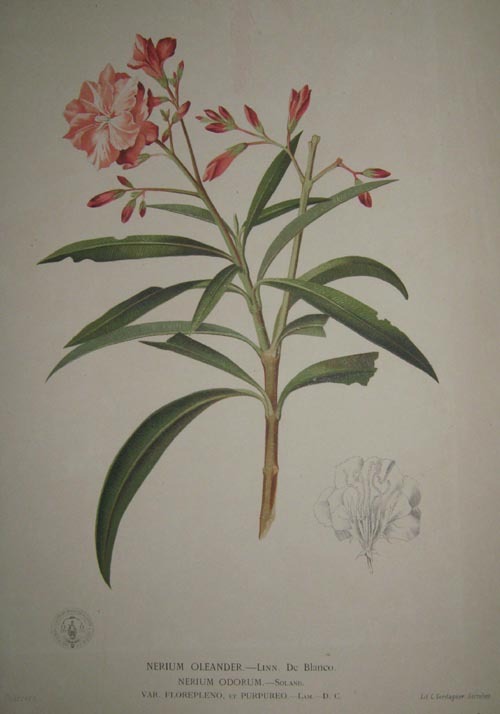 McKinley, Gen. Henry Lawton, Adm. George Dewey, Charles Conant and William Jones adorn our notes. Only Rizal and Mabini were considered worthy enough to have their portraits in our note. 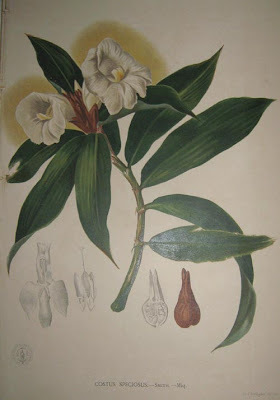 During the Japanese time, they continued to use Rizal on our note. Rizal's monument in Luneta appeared on the 1, 5, 10, 100, 500 pesos. 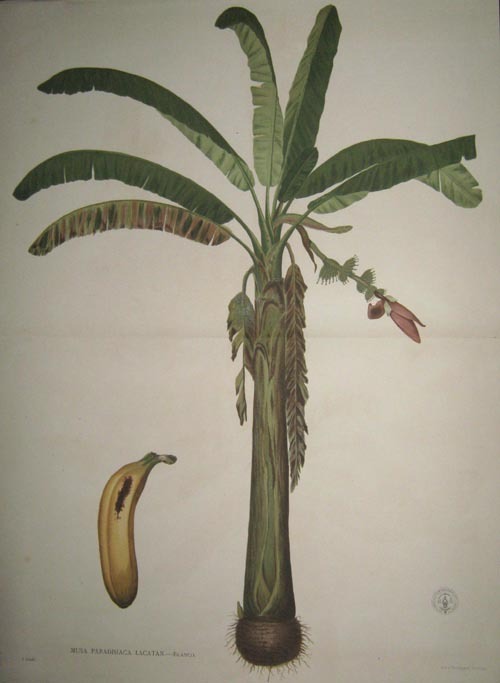 After the war the previous design in 1941 was used and circulated with VICTORY overprints at the back. The design with Rizal's portrait was continued during the Philippine Republic up to the time of President Marcos. In 1986, Banko Sentral ng Pilipinas stopped issuing the 2 pesos banknote and opted to use Jose Rizal's profile on the 1 Peso coin. Signed by Pres. by Ramon Magsaysay - Miguel Cuaderno Sr.
One of the best botanical book ever produced in the world was the Flora De Filipinas. 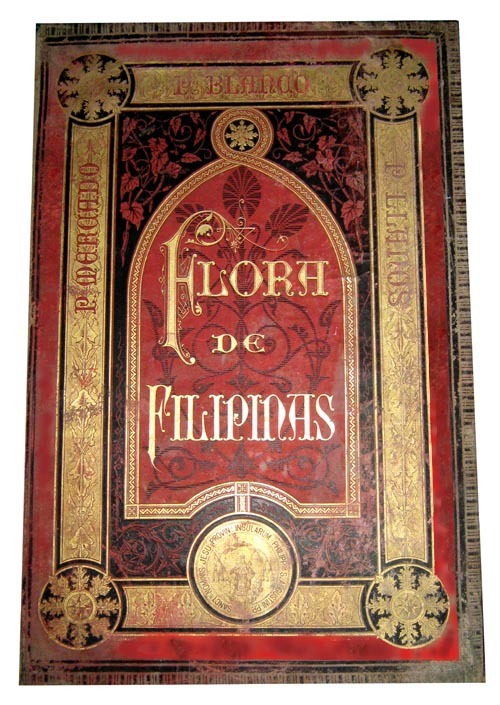 The De luxe edition of Flora de Filipinas, was produced between 1877 and 1883. It was prepared by disciples of Manuel Blanco, including a number of Augustinians. 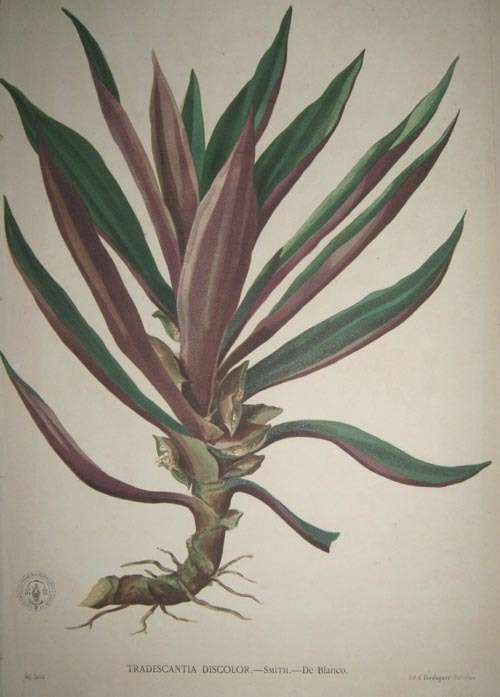 An estimated 500 copies were made. 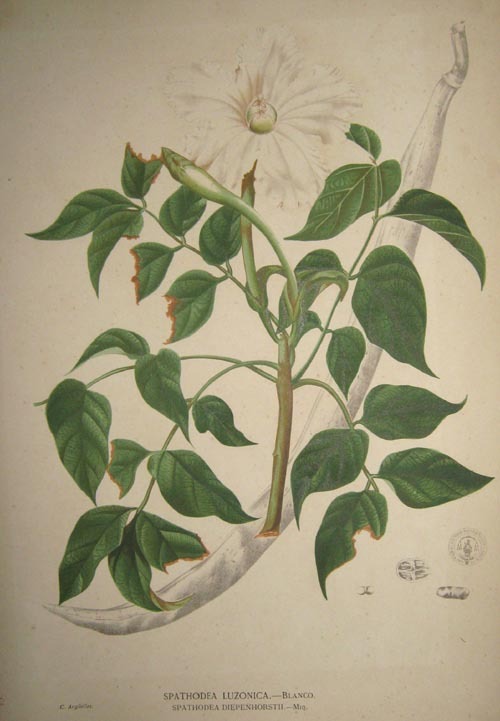 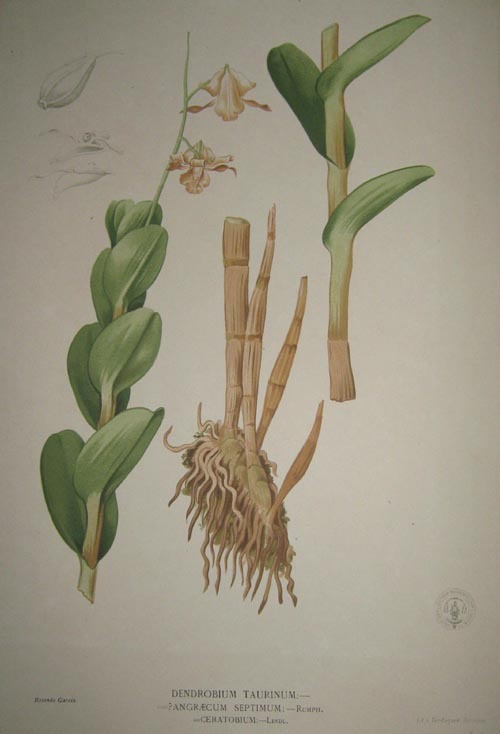 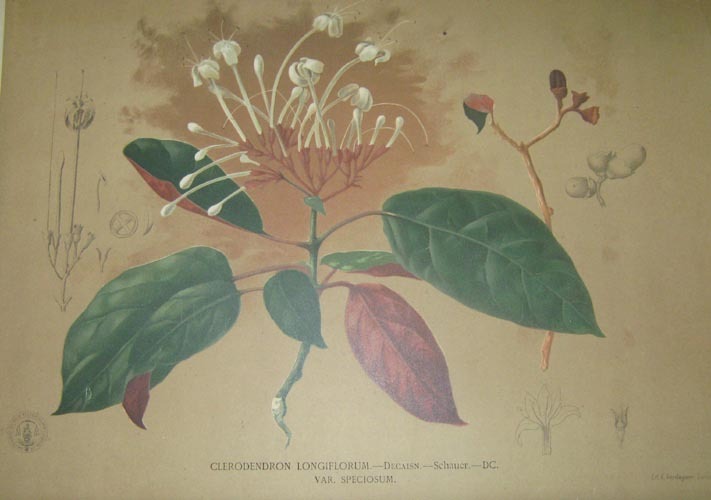 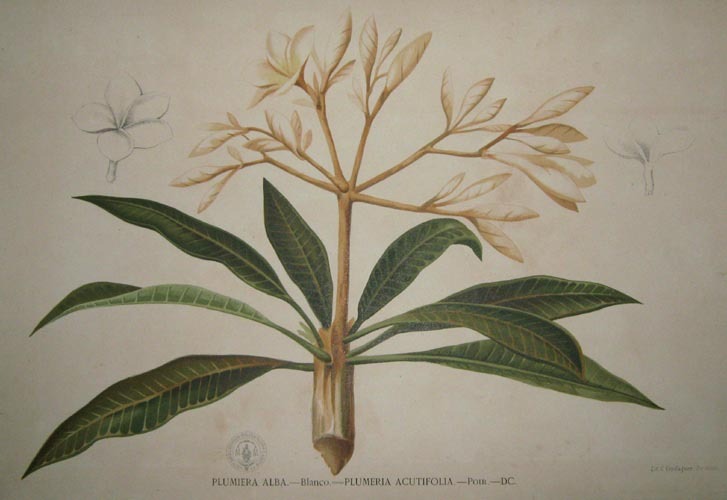 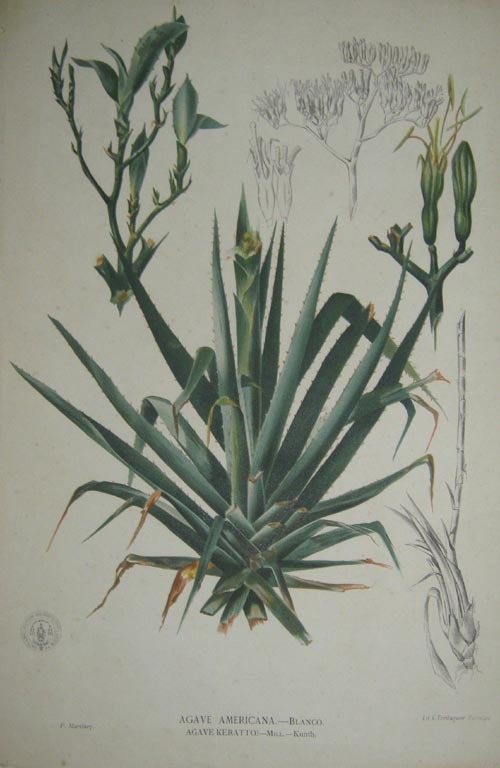 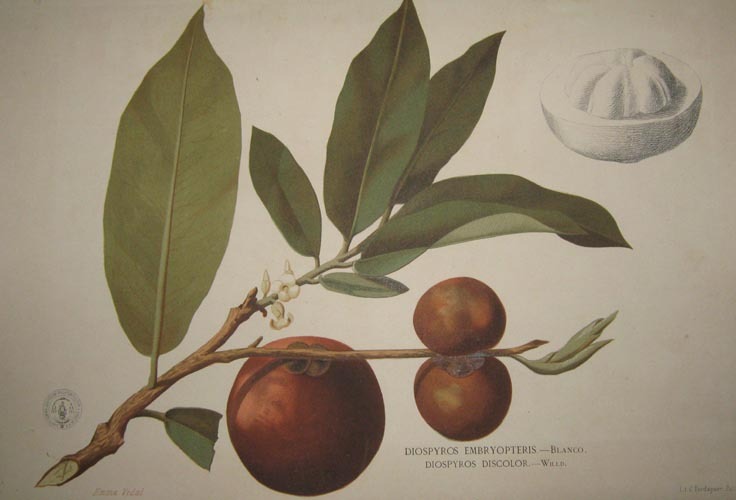 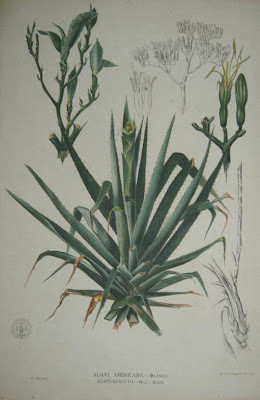 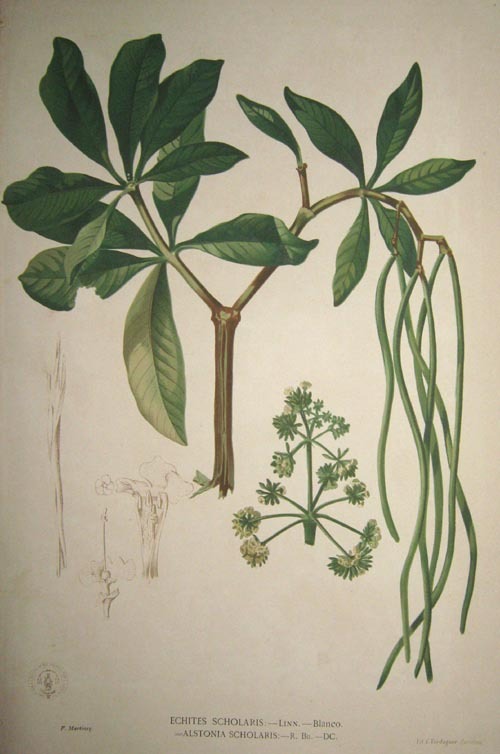 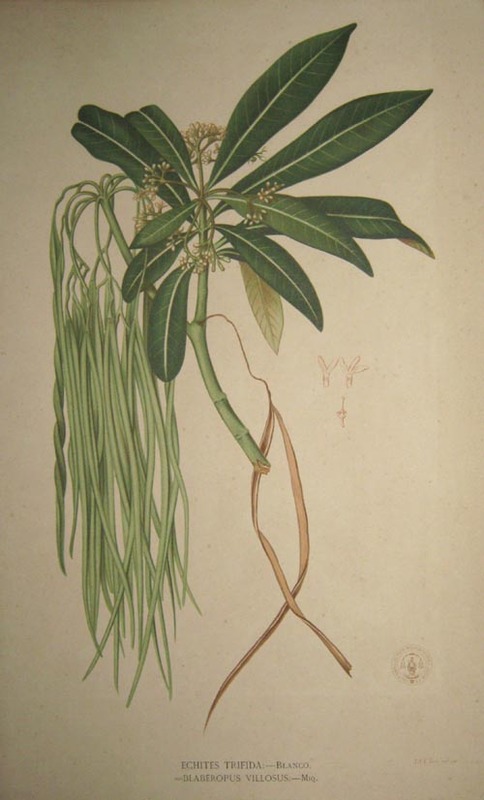 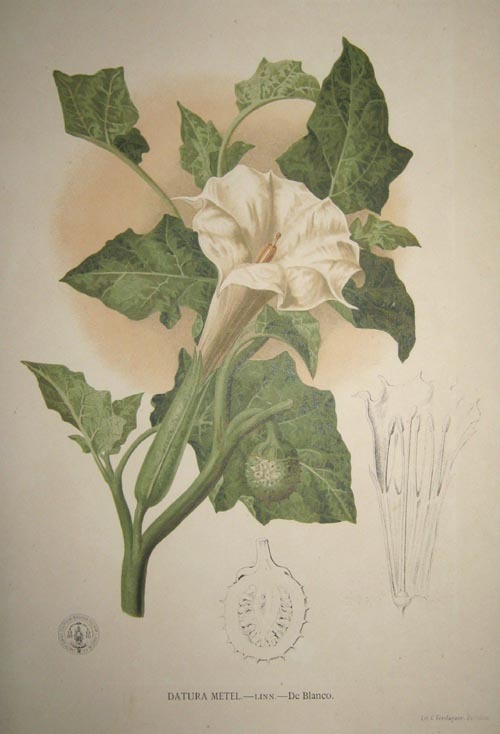 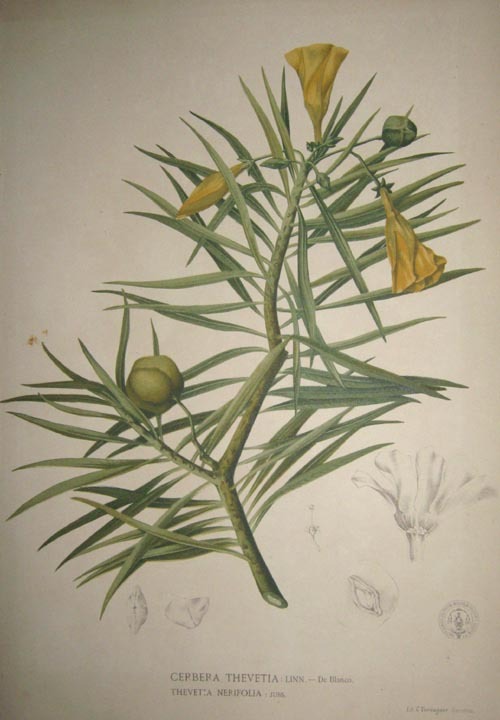 Blanco recorded the vernacular names of these 1,200 classified plants. 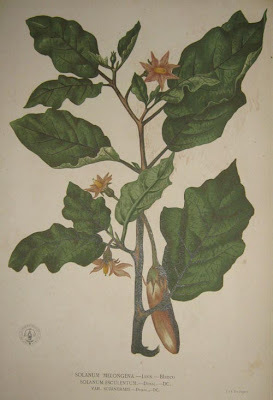 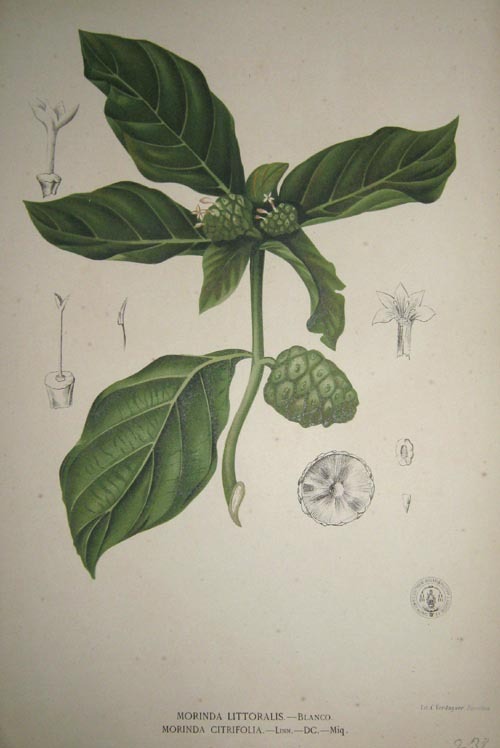 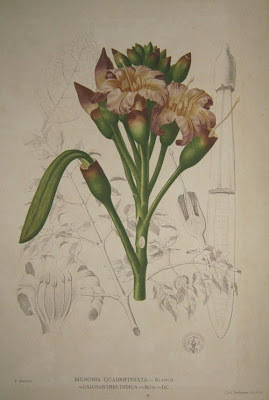 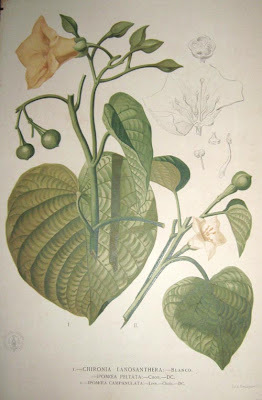 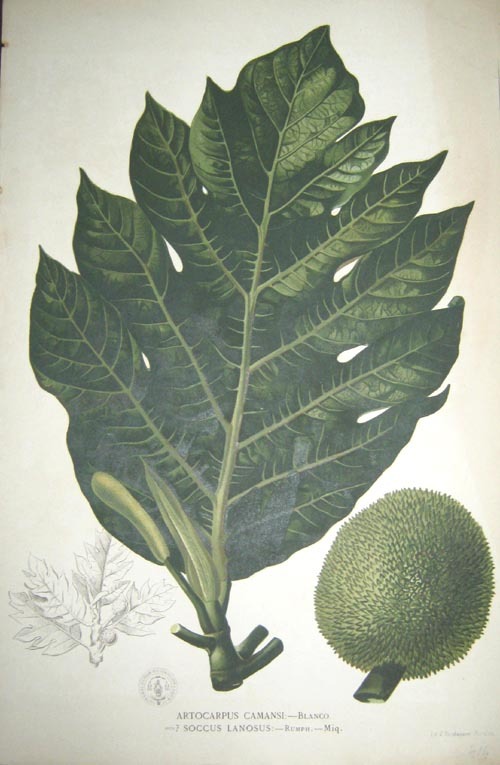 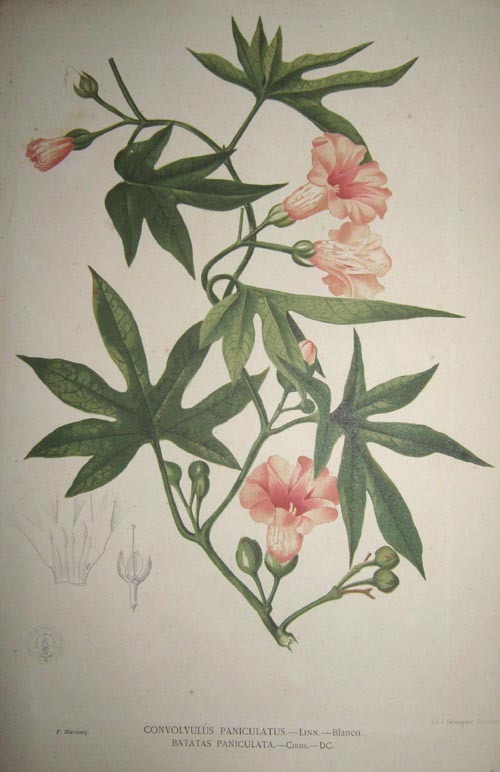 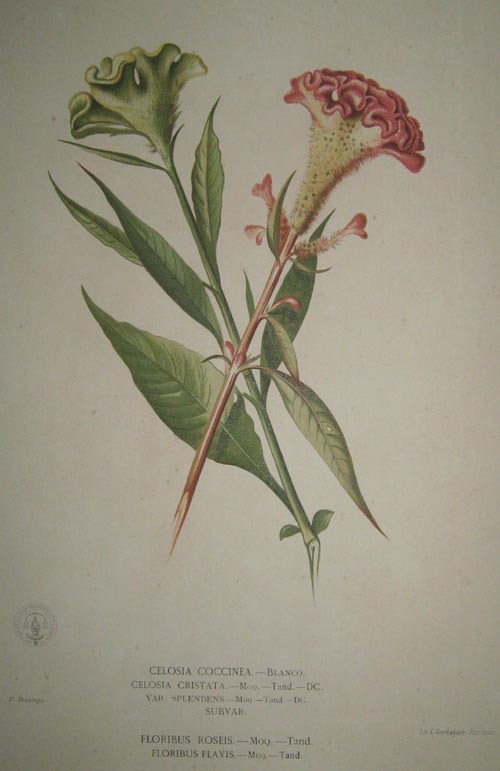 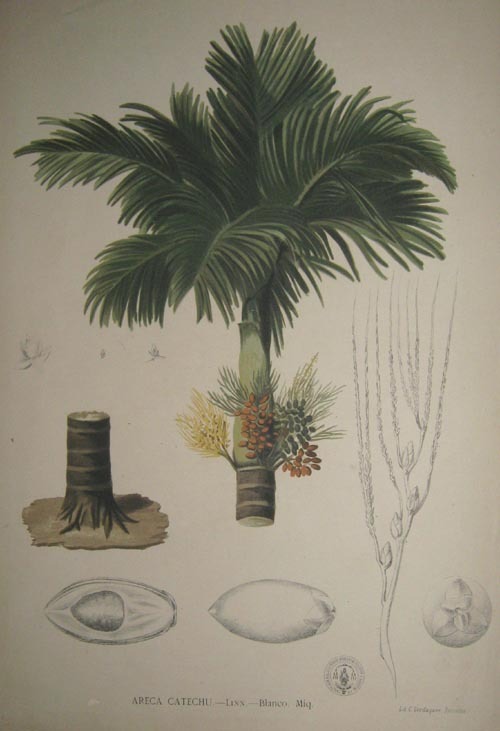 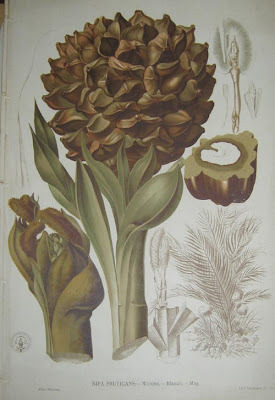 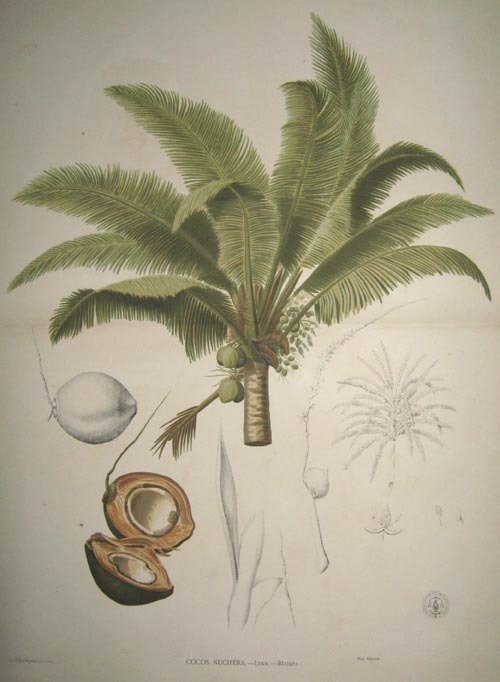 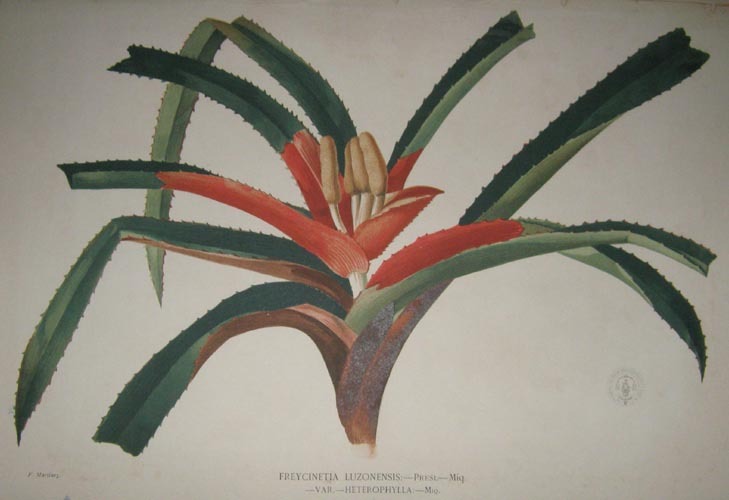 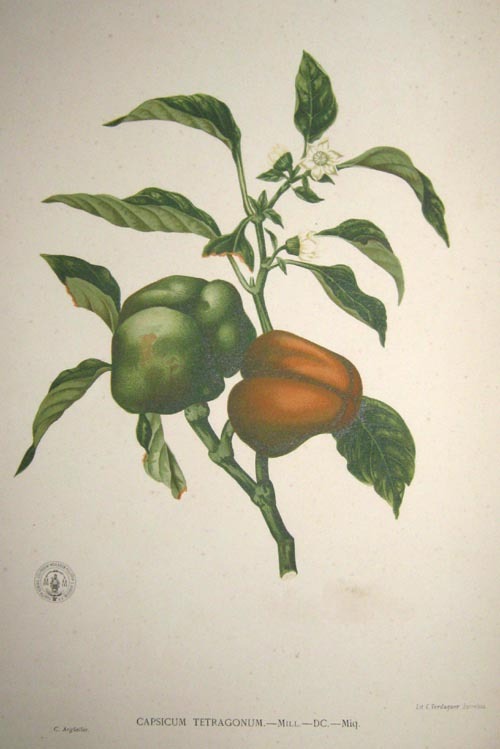 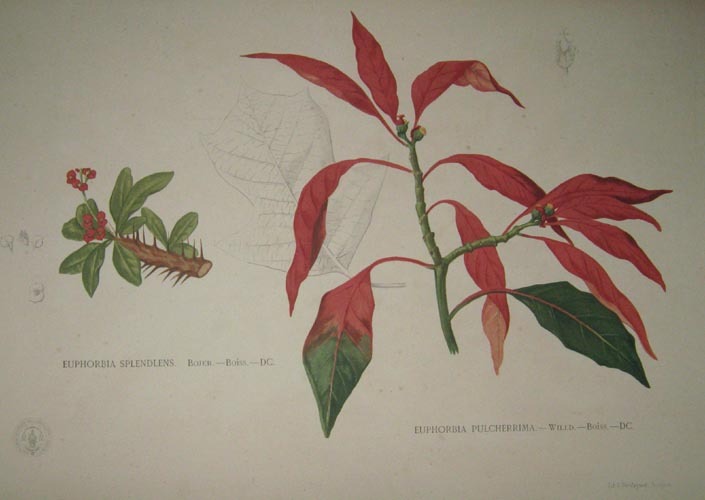 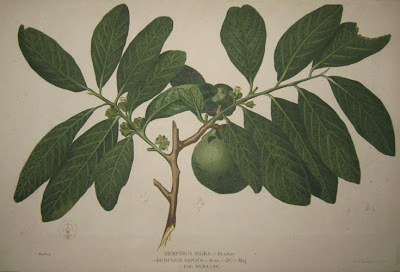 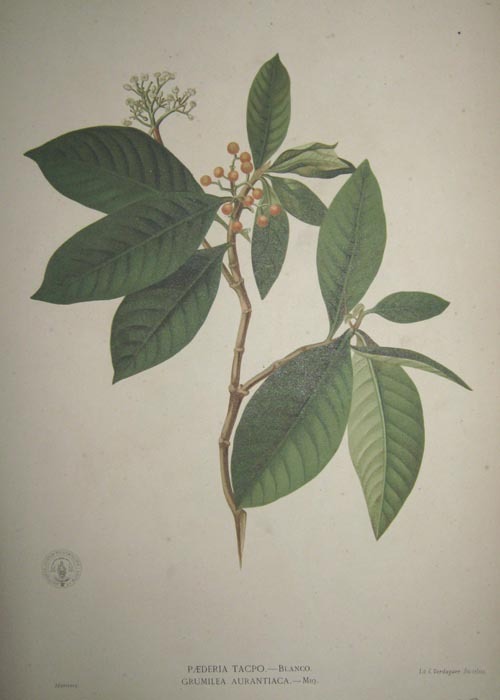 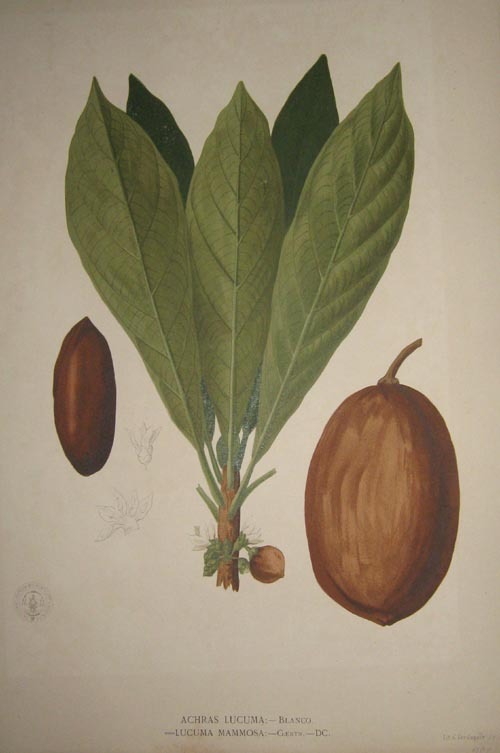 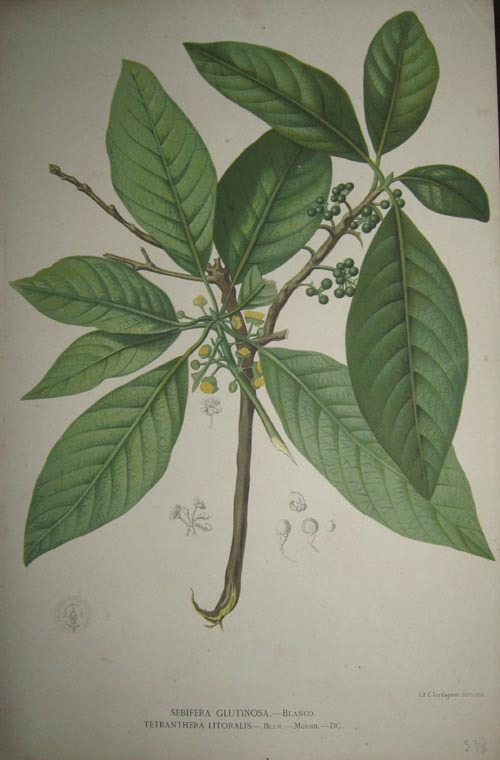 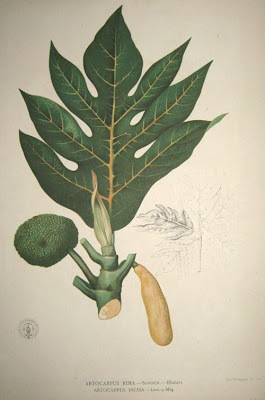 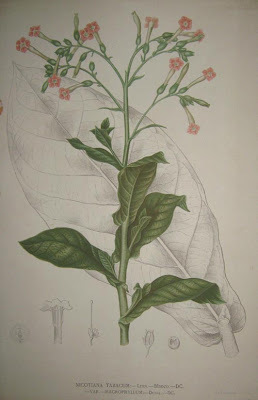 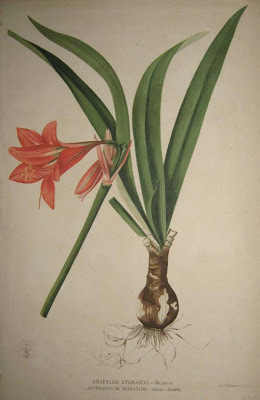 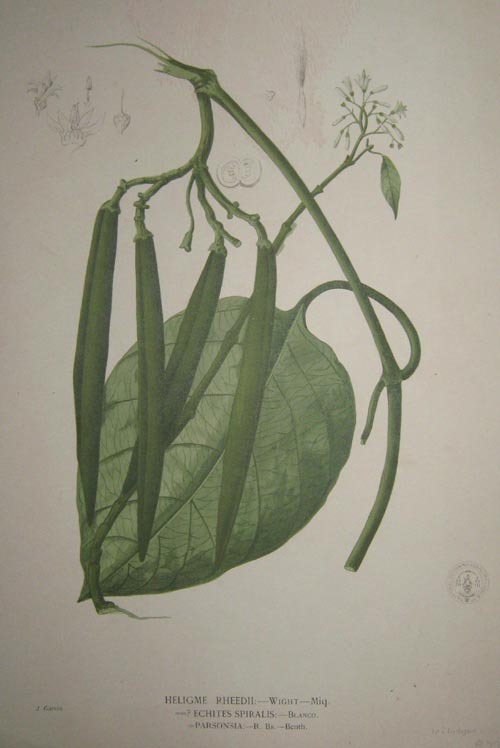 In 1837 he published the first edition of his book, Flora de Filipinas ("Plants of the Philippines"). The Flora de Filipina was published and printed at the expense of the Province of the Holy Name (the "Philippines Province") of the Order of Saint Augustine. The book was acclaimed by scientists from all over the world. Four of these volumes contained text in Spanish and Latin, and three volumes were devoted to colored lithographs by C. Verdaguer. The pages measure 17.25 inches by 11.50 inches. These prints are from a private library.